When uninsured and underinsured drivers cause accidents, many of them can’t pay for the damages they cause. Some never stop to take responsibility for their actions. Although state laws require all drivers to carry minimum amounts of liability insurance, many drivers continue to put others’ lives and futures at risk. After accidents involving uninsured and underinsured motorists in Seattle, understanding your options plays an important role in recovery. The most recent data available on uninsured and underinsured motorists is eye-opening. Washington state rates as the 10th worst state in the nation for uninsured and underinsured motorists. The Insurance Research Council (IRC) data from 2012 estimated that 16% of our drivers are uninsured. During that year, insurance claims involving uninsured motorists across the country amounted to $2.6 billion – a number that represents a 75% increase from previous years. As of 2014, the IRC collected national data indicating that around 1 in 8 drivers across the US drive without insurance. In Seattle, around a million people travel through our city on a daily basis. The latest data, from 2014, indicates police reported 10,815 motor vehicle accidents in the city. While these numbers do not indicate the number of uninsured drivers involved in accidents that year, the amount of travel and the average number of accidents highlight the risk level of failing to carry adequate insurance. Too many drivers get behind the wheel today without insurance. For those who comply with state insurance laws, the data reveals an important insight – investing in uninsured and underinsured motorist coverage can mean the difference between relying on health insurance and receiving auto insurance benefits after an accident with an insolvent driver. Does Washington State Require Uninsured/Underinsured Motorist Coverage? The state of Washington does require drivers to meet minimum insurance requirements or the state’s financial responsibility requirement, but it does not require drivers to carry uninsured/underinsured motorist coverage. This type of coverage goes above and beyond basic liability to give drivers peace of mind that they and their passengers will have access to benefits in the event that an at-fault driver cannot pay. The state does require that all auto insurers provide the option of uninsured motorist coverage to the drivers they insure. To reject this type of coverage, policyholders may need to submit a written rejection to the insurer. If an insurer cannot produce a written waiver of uninsured or underinsured motorist coverage, the state can force the insurer to provide retroactive coverage and benefits equaling the policyholder’s existing liability coverage. Uninsured/underinsured motorist insurance terms in Seattle vary. Insurers typically suggest a minimum amount, but allow their clients to choose higher limits if needed. The benefits cover those named in the policy (even if you were a pedestrian at the time of the accident) and any passengers injured in the covered vehicle in the event the at-fault driver cannot cover his or her liability. 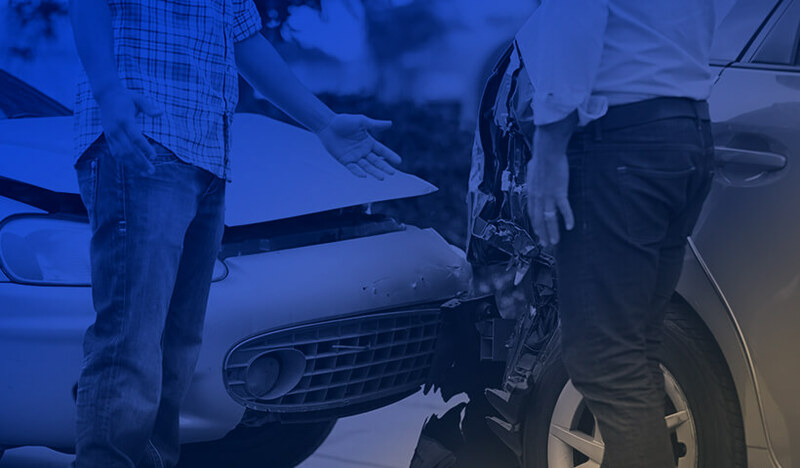 In the event of an uninsured motorist accident involving a hit and run incident or an insolvent driver, the coverage can compensate individuals for medical expenses, lost income, and pain and suffering up to the policy limits. The coverage typically mimics the liability coverage an at-fault driver should have paid under different circumstances. In accidents involving underinsured motorists, the coverage works slightly differently. The at-fault driver’s insurance should cover your injuries up to a certain limit. If that compensation does not cover the full cost of your losses, underinsured motorist coverage will kick in to supplement your compensation from the at-fault driver. Uninsured and underinsured motorist insurers may place additional terms and restrictions on when and how covered individuals can access benefits. For example, coverage may depend on the type of accident. Some insurers will not cover injuries sustained in hit and run accidents, unless you identify the driver. Others may require those injured to file a police report within a certain amount of time after a hit and run accident to qualify for coverage. Look closely at the terms of your policy to better understand when the insurer may or may not provide compensation for your injuries. If another form of insurance such as medical payments coverage or personal injury protection coverage covers your injuries, uninsured or underinsured motorist coverage may only pick up where these types of coverages leave off. Often, the nuances of coverage complicate the claim filing process, which is why many injured motorists reach out for legal support during the process. Record identifying information. If an at-fault driver flees, use your phone or a notepad to record as much as you can about the hit and run driver. Try to obtain a license plate number, details about the individual’s appearance, the make and model of the car, and any other defining details that can help you identify the at-fault driver. If the driver does not leave, exchange information as you would during any other traffic accident. Write down the driver’s name, address, phone number, license plate number, and insurance information. Contact emergency services. Report the accident and call for an emergency responders if you or anyone else at the scene suffered an injury. File a police report as soon as possible to create a record of the incident. Use your smartphone. If you have access to your phone and are able, take as many videos and pictures at the scene of the accident as possible. Take pictures of the vehicles involved, injuries, license plate information, and the surrounding area. Accept medical attention. If you do not go to the emergency room with your injuries, schedule an appointment with a physician as soon as possible. Some serious head injuries may not cause outward or obvious symptoms at first. Protect your rights. Look over the terms of your insurance policy to see how long you have to report an accident and file a claim. If you do contact your insurer or an at-fault driver’s insurer contacts you, stick with the basic facts of the accident. Insurers will scrutinize everything you say to lower their own liability in the aftermath of an accident. Until you speak with our attorney, Greg Colburn, about your options, focus on providing only basic information to any accident investigator. After an accident involving an uninsured or underinsured motorist, insurers may use the phrase “phantom vehicle” to describe any unidentified vehicles involved in the incident. In addition to hit and run accidents where one vehicle collides with another before leaving the scene, the term may also describe accidents where one driver causes another driver to wreck without ever making physical contact with the vehicle. Phantom vehicles involved in single-car accidents often involve careless or reckless driving behaviors. The at-fault driver may ignore the rules of merging and force a vehicle off the side of the road or may purposefully drive a vehicle off the roadway. If an injured driver can prove the phantom vehicle caused the incident using eyewitness information or another form of acceptable evidence, uninsured and underinsured motorist coverage may cover the resulting injuries. If you were a pedestrian involved in an accident in Seattle, seek help from Greg Colburn. He can help you take the next step if you were struck by an uninsured driver. In hit and run accidents, insurance coverage may play out differently depending on whether or not police apprehend the at-fault driver. If you cannot identify the driver, physical evidence of the accident and eyewitness information may provide sufficient support for the claim. Uninsured and underinsured motorist cases often involve lengthy insurance investigations and negotiations. Many of these cases involve insurers who will do everything they can to lower their total payout after an accident. To protect your right to compensation, consider speaking to a Seattle personal injury lawyer at Colburn Law who specializes in uninsured and underinsured accident claims. From collecting evidence to protecting a client’s rights under the terms of uninsured/underinsured motorist coverage, your Coburn Law Seattle attorney can help you navigate the complex and confusing nature of uninsured and underinsured accident claims in Seattle. Explore your options today.